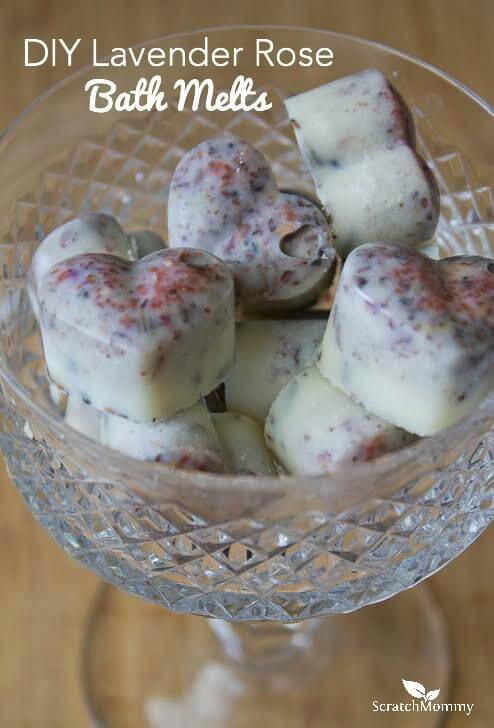 No, not the ones you got from your special someone this morning, but the hearts and roses from my DIY Lavender Rose Bath Melts. These bath melts are soothing to tired muscles, calming to the nerves, and ultra moisturizing. You can easily make a batch this morning and they will be ready to use on your Valentine tonight. Just drop one in warm bath water and you and yours will feel relaxed, blissful, and calm. It’s also such a simple DIY, you can have your little one help you make it. p.s. Happy Valentines Day Scratch Mommies! Enjoy today by making it a #lifefromscratch holiday. 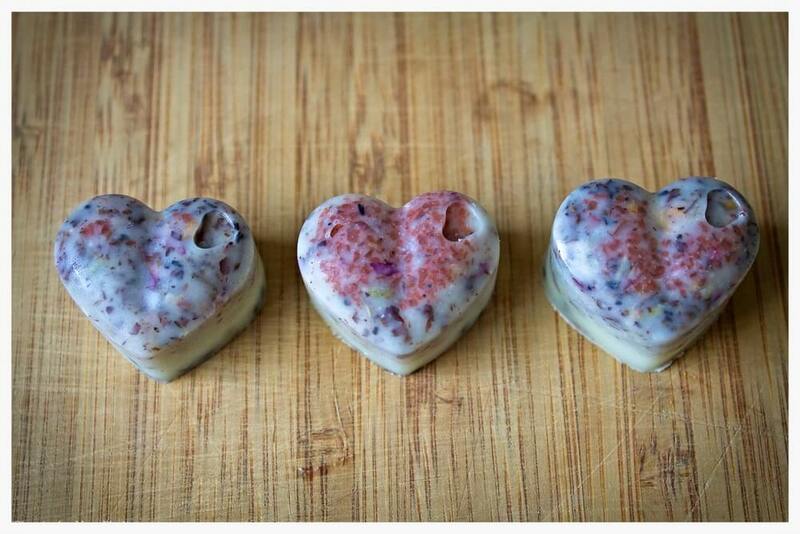 Head over to Clean’s the New Black to get the full recipe for my DIY Lavender Rose Bath Melts.